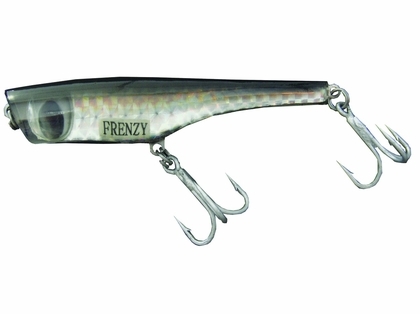 Frenzy Tackle Angry Poppers are built to withstand a beating and will be ready the next time you throw them into a feeding frenzy! Frenzy Tackle Angry Poppers are ready to go right out of the package, with stainless steel hardware, 3X strong treble hooks, and weighing in at 4oz to provide exceptional castability. Their solid resin construction also holds up extremely well to savage strikes when you happen to get into a feeding frenzy!